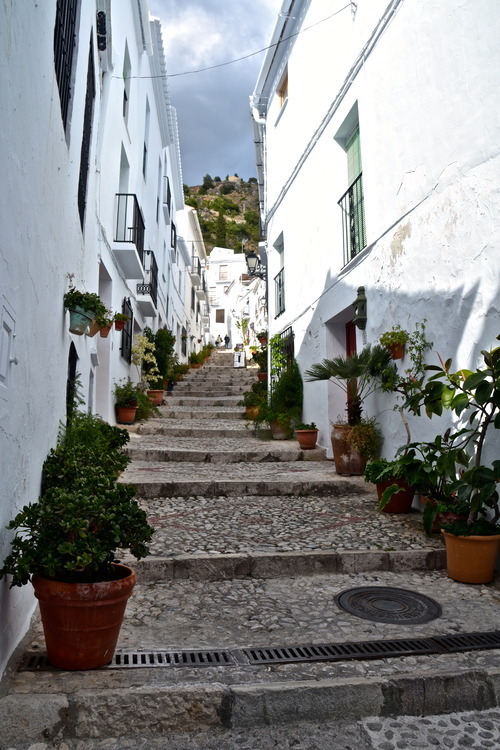 Frigiliana is perched on the Andalusia Mountains, the sea visible from afar and the white houses of the town that get mixed up with the clouds. The air is frisky because of the mistral that has been blowing undeterred for a couple of days now, but after few minutes of walk up and down the steep roads and the stairways of the village, the cool breeze is actually a relief. 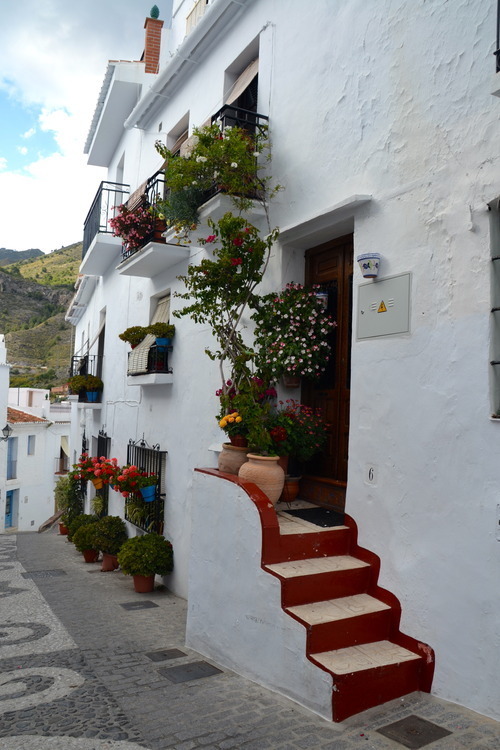 The colorful portal and windows give the streets some color and geraniums and typical ceramics from Andalusia, hanging from the balconies and the windows, are present everywhere in this little hamlet. I’ve never been to Greece and what I know I’ve learned it from the tourist brochures but I have the feeling the Frigiliana has more an Hellenic look rather than Spanish, but since I also know Spain very little, it’s possible the blue fixtures are very common here as well. I don’t’ know why every time I visit a new place, the first think I ask myself is if my mother would like it. Maybe it’s because I would love to see her more, perhaps it’s because I would like to take her with me on my trips, enjoy my days in her company, but most of all, enjoy her! 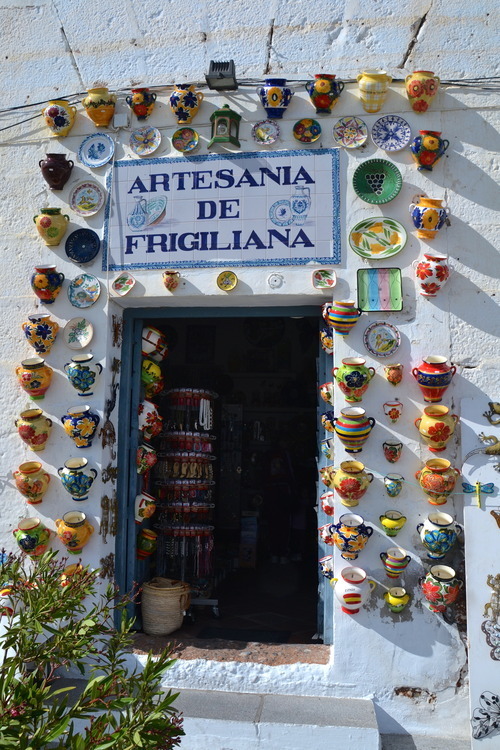 I think she would like Frigiliana and I can almost see her chattering with the local women, even if in different languages. I remember when I was a kid, I saw this with my own eyes and heard it with my own ears, my mother use to entertain this Portuguese woman who did not speak a word of Italian. They understood each other anyway and from then on, I always thought my mom has a special gift. Sure here in Frigiliana, she would have some issues going up the stairs and walking up and down the hills, but don’t you worry mamma, I will walk slowly and you can always have my shoulder to lean on.